Brownie Cup S’mores are a fun and decadent twist on classic s’mores! With built-in chocolate-y goodness, brownie cups are the perfect size and shape to create an amazing s’mores experience. 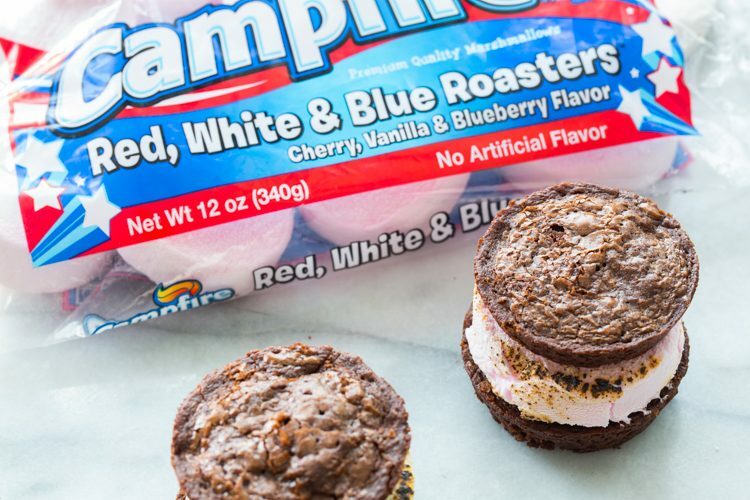 This post, Brownie Cup S’mores, is sponsored on behalf of Campfire® Marshmallows. All opinions are, as always, my own. July is days away which means that the Fourth of July is almost upon us! It also means that fireworks season is almost upon us. The Fourth of July is pretty much our favorite time of the summer to camp out in our backyard and enjoy our neighbor’s professional-level fireworks display. I’m not one for huge crowds, so enjoying festive fireworks from the comfort of my own backyard is pretty much my dream come true. I’m within walking distance of my own bathroom and I’m not having to elbow my way through a boisterous mob of people. Plus, we get to prepare our dinner AND dessert over the campfire while enjoying the show! 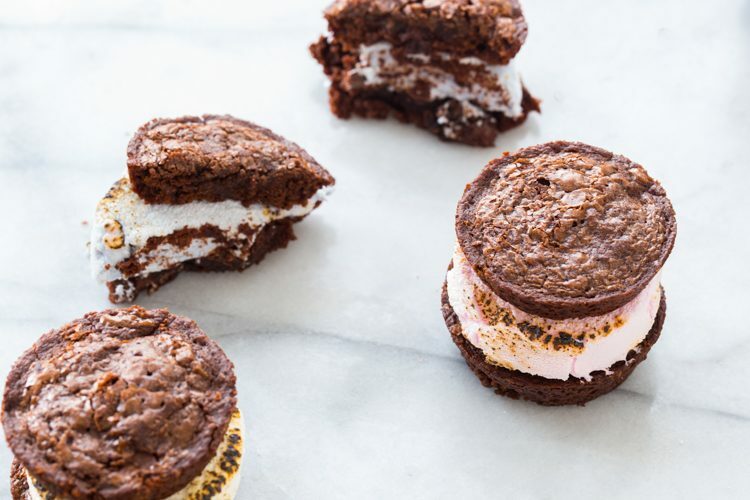 If you know anything about me, then you know my favorite camping dessert (well, one of my favorite desserts in any situation) are s’mores – in all of their infinite variations. Last month, I shared my grilled pineapple s’mores which are AWESOME! But I also love me some Roasted Berry S’mores and Sopapilla S’mores, just to name a few more. 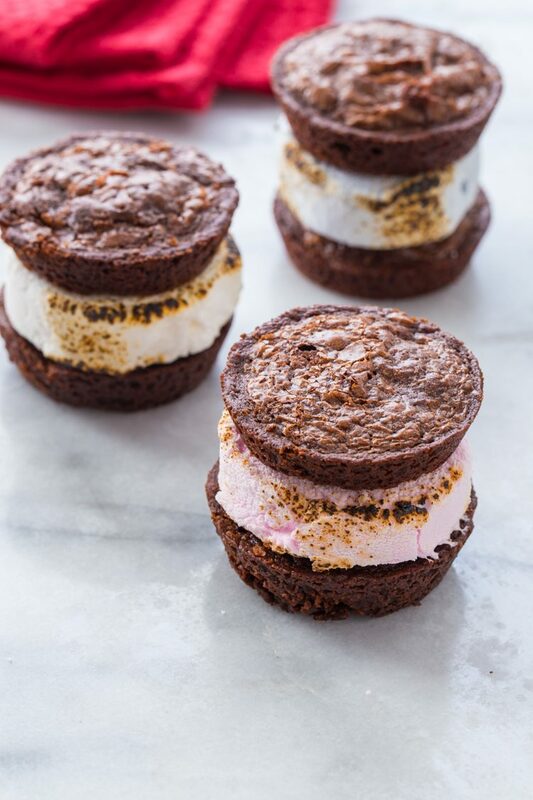 Today, though, in honor of the Fourth of July, I’m bringing you some ooey, gooey Brownie Cup S’mores using Campfire®’s new Red, White, and Blue Roasters! The marshmallows are the perfect size and shape for s’mores! 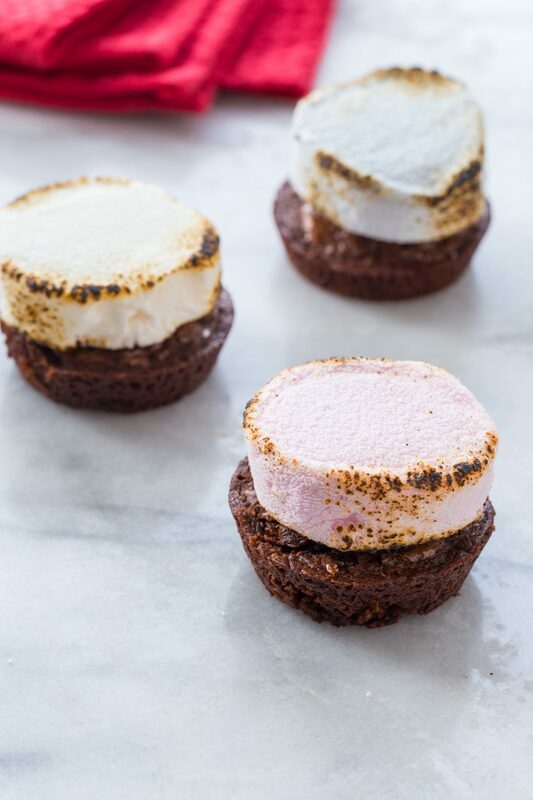 The are large, round, but thin enough to sandwich perfectly between whatever you are using to make your s’mores – in this case brownie cups! To make brownie cup s’mores (you can check out my how-to video above ^^) I took some help from my favorite boxed brownie mix and baked them in muffin tins. 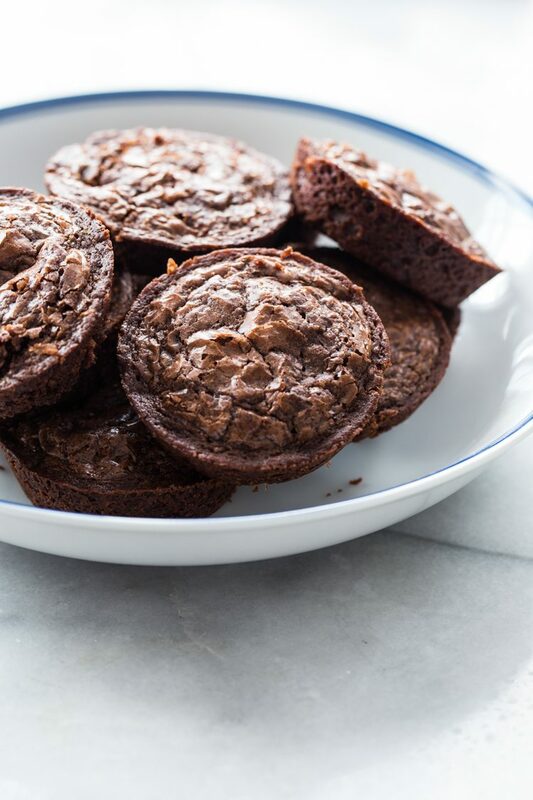 The trick is to only fill the brownies up about half way in the muffin tin, so that baked brownie cups are thin and don’t overpower the marshmallows. The red marshmallows are cherry flavored, the blue are blueberry flavored, and the white are vanilla flavored – and all are lovely, soft, and scrumptious! Campfire® has come out with some awesome new flavors of Roasters this summer in honor of their 100th birthday! That’s right, Campfire® Marshmallows have been around for 100 years. 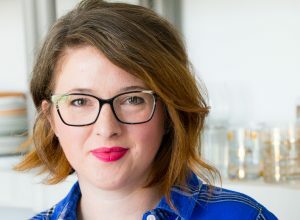 This week, some of my favorite blogger friends are sharing their recipes featuring the flavors of Roasters: Cherry, Strawberry & Banana, and Red, White, and Blue! Be sure to follow Campfire on Facebook to see all the new recipes to get ready for your Fourth of July celebration. Fun Fact: My birthday is on July 11th and is always one week after the Fourth of July which is maybe why I enjoy it so much. Fireworks, s’mores, and camping all around my birthday! 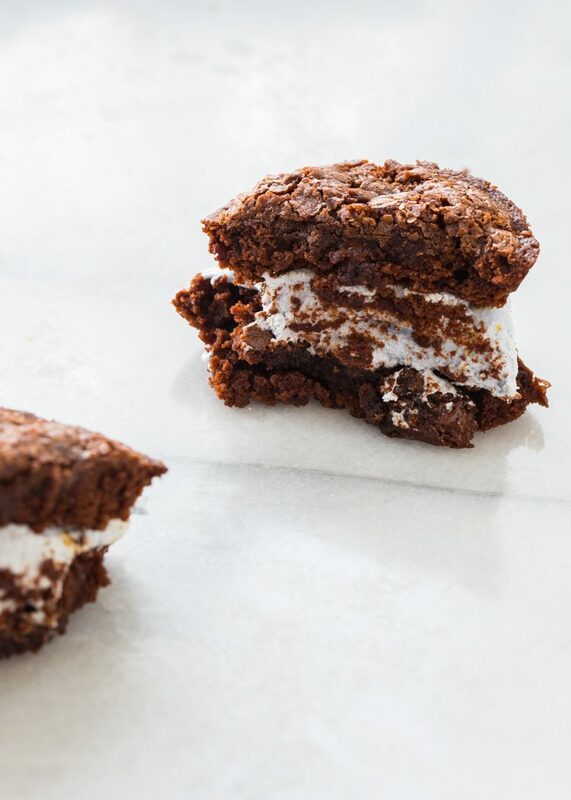 Let’s all celebrate together with some brownie cup s’mores, shall we? Preheat oven to 325°F. Spray two muffin tin pans with non-stick spray and set aside. Mix brownie mix, egg, oil, and water together until well combined. Spoon 2 tablespoons of batter into each muffin tin (about halfway full). Bake for 20-25 minutes or until brownies are baked through. Remove from oven and allow to cool. Roast Campfire® Red, White, and Blue Roasters to desired doneness. Sandwich between two brownie cups and serve immediately. *Brownie mix directions may vary. Mix according to your brownie mix directions.